The Party Monkey is a family owned business that is located in Langley, BC, Canada. Our company motto is to help our customers celebrate all their special events with lasting memories and great products that are carefully and colourfully packaged with tissue paper. We take care to ensure items are shipped securely and quickly right to your door. 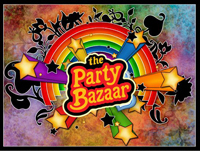 Well known for over 30 years as the Lower Mainland's Halloween retail experts, The Party Bazaar (originally Bazaar & Novelty), is one of BC's biggest retailers of party supplies, novelties and decorations. Amazing Party & Costume has over twenty years experience as an industry leader. We are Canada's largest costume and party store and are open year round. We offer an online store as well as a brick and mortar store location centrally located in Canada's largest city. In 1984 we created Party Connection. Our goal back then was to create a fun place for customers to visit, plan and shop for the special events in their lives. As the years passed, with each growth and new step in our business, we have never lost sight of that goal. We designs, manufactures, contracts for manufacture and distributes party goods, including paper and plastic tableware, metallic and latex balloons, Halloween and other costumes, accessories, novelties, gifts and stationery throughout the world. Our mission is to make sure your event is created in a unique and unforgettable way. Our designers offer quality, style, creativity and service in getting your floral and linen details organized for your grand event. Book your wedding with Sequel. Full event catering. Luxe accommodation. Corporate retreats. Barn weddings & family gatherings. 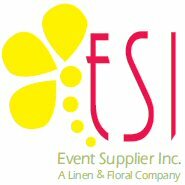 Toronto Event Planner specializing in full service and "day of" event planning. At DetailzbyM.E. we work with corporations, small businesses, non-profit organizations, and individuals to plan, manage and decorate events in Toronto and the GTA.